Narendra Modi grew up poor in northern India, the son of a street merchant. He entered politics as a youth and quickly rose through the ranks of Rashtriya Swayamsevak Sangh, a Hindu nationalist political party. In 2002, he was alleged to be responsible for the deaths of more than 1,000 Muslims during civil unrest, but he was later exonerated. In 2014 he was elected prime minister of India. Narendra Modi was born in the small town of Vadnagar, in northern Gujarat, India. His father was a street merchant who struggled to support the family. Young Narendra and his brother sold tea near a bus terminal to help out. Though an average students in school, Modi spent hours in the library and was known as a strong debater. In his early teens, he joined Akhil Bharatiya Vidyarthi Parishad, the student wing of Rashtriya Swayamsevak Sangh (RSS), a Hindu nationalist political party. Modi married at 18 but spent little time with his bride and eventually ended the marriage. He dedicated his life to politics in Gujarat, joining the RSS in 1971. During the 1975-77 political crisis, Prime Minister Indira Gandhi declared a state of emergency, banning political organizations such as the RSS. Modi went underground and wrote a book, Sangharsh ma Gujarat(Gujarat in Emergency), which chronicles his experiences as a political fugitive. In 1978, Modi graduated from Delhi University with a degree in political science and completed his master’s work at Gujarat University in 1983. In 1987, Narendra Modi joined the Bharatiya Janata Party (BJP) which stood for Hindu nationalism. His rise through the ranks was rapid, as he wisely chose mentors to further his career. He promoted privatization of businesses, small government and Hindu values. In 1995, Modi was elected BJP national secretary, a position from which he successfully helped settle internal leadership disputes, paving the way for BJP election victories in 1998. In February 2002, while Modi served as chief minister of Gujarat, a commuter train was attacked, allegedly by Muslims. In retaliation, an attack was carried out on the Muslim neighborhood of Gulbarg. Violence spread, and Modi imposed a curfew granting police shoot-to-kill orders. After peace was restored, Modi’s government was criticized for the harsh crackdown, and he was accused of allowing the killings of more than 1,000 Muslims. After two investigations contradicted one other, the Indian Supreme Court concluded there was no evidence Modi was at fault. Narendra Modi was reelected chief minister of Gujarat in 2007 and 2012. Through those campaigns, Modi's hard-line Hinduism softened and he spoke more about economic growth. He is credited with bringing prosperity and development to Gujarat and is seen as a corrupt-free and efficient administrator. However, some say he has done little to alleviate poverty and improve living standards. In June 2013, Modi was selected to head the BJP’s 2014 election campaign to the Lok Sabha (the lower house of India’s parliament), while a grassroots campaign was already in place to elect him prime minister. Modi campaigned hard, portraying himself as a pragmatic candidate capable of turning around India’s economy. In May 2014, he and his party were victorious, taking 282 of the 534 seats in the Lok Sabha. The victory marked a crushing defeat to the Indian National Congress, which had controlled Indian politics for most of the previous 60 years, and sent a message that India’s citizens were behind an agenda of radical change. Narendra Damodardas Modi is all set to be India's 15th Prime Minister of India. A four-time Chief Minister of Gujarat, Narendra Modi has successfully led the NDA to a historic win in the 2014 elections. Considered a key strategist for his party, Narendra Modi has been instrumental in successfully campaigning for the Bharatiya Janata Party in the 1995 and 1998 elections in the state of Gujarat. He also played a key role in the 2009 General elections that was ultimately won by UPA led by the Indian National Congress Party. Narendra Modi is an Indian politician and the present Prime Minister of India. He is the prominent leader of the Bharatiya Janata party (BJP). Considered a key strategist for his party,He has a record of serving the Chief Ministerial position for the longest term (2063 days continuously, as recorded in July 2007) in the history of the state of Gujarat and has been the Chief Minister of Gujarat for fourth consecutive term . Narendra Damodardas Modi hails from a family of grocers in a town called Vadnagar in the northern Mehsana district of the state of Gujarat. He was born on 17 September 1950 to Shri Damodardas Mulchand Modi and Smt. Heeraben. They were six siblings, among whom he is the third. Narendra Modi completed his studies against all odds and adversities. His walk through life started as a teenager when he, along with his brother, ran a tea stall near a railway station in Ahmedabad. He did his schooling in Vadnagar and has a master's degree in Political Science from the Gujarat University. One of his school teachers described him as an average student but a brilliant debater. During his college days he acted as a pracharak or propagandist of the Rashtriya Swayamsevak Sangh (RSS). At a later stage during the 1990s when Modi was serving in New Delhi as the official spokesperson of the Bharatiya Janata Party, he completed a three month course in the US on public relations and image management. One of his brothers, Soma, is a retired health officer who now runs an old age home in the city of Ahmedabad. His other brother Prahlad, an activist on behalf of fair-price shop owners, has his own fair-price shop in Ahmedabad. His third brother Pankaj is in service with the Information Department in Gandhinagar. Modi is the first Prime Minister of India born in independent India. He is also the first Indian prime minister whose mother is alive when he takes office. He holds the record of winning a Lok Sabha seat by the highest margin (about 5.70 lakhs; Vadodara). Narendra Modi always had a zeal to serve and help people. As a young boy during the Indo-Pak war in the mid 60s, Narendra Modi voluntarily offered service to the soldiers in alteration at the railway stations. He also served the people of Gujarat during the flood in 1967. Modi started working in Gujarat State Road Transport Corporation’s staff canteen. Eventually from there he became a full-time proponent and campaigner, commonly called a pracharak, of the Rashtriya Swayamsevak Sangh (RSS). Modi later underwent training in the RSS camp in Nagpur. It is a prerequisite for any RSS member to take up the training course for holding any official position in the Sangh Parivar. Narendra Modi was given charge of the student wing in the Sangh in Gujarat, which is better known as Akhil Bharatiya Vidyarthi Parishad (ABVP). Narendra Modi was an efficient organizer from a very young age. During the Emergency, he arranged for covert circulation of pamphlets featuring Sangh’s protest and also organized agitations against the rule. During his RSS days he met the two Jan Sangh leaders Vasant Gajendragadkar and Nathalal Jaghda who later founded the state unit of Bharatiya Janata Party in Gujarat. Later in the year 1987, the RSS deputed Narendra Modi to politics by endorsing him in the Bharatiya Janata Party. Modi’s efficiency was acknowledged and he rose to prominence after organizing the Ekta Yatra for Murli Manohar Joshi. · Became the General Secretary of the Bharatiya Janata Party in its Gujarat unit in 1988. · Recognized as a key strategist by the Bharatiya Janata Party for being instrumental in successfully campaigning for the party in the 1995 and 1998 elections in the state of Gujarat, which led the party to become the ruling party of the state of Gujarat. · Successfully organized two challenging events on a national level: 1) Somnath to Ayodhya Rath Yatra, a long march by Mr. L. K. Advani and 2) a march from Kanyakumari (southern tip of India) to Kashmir (northern tip of India). These two events are considered to have attributed in bringing Bharatiya Janata Party to power in 1998. · In 1995 Narendra Modi was appointed Secretary of the Bharatiya Janata Party at national level. · Narendra Modi has been credited for having successfully carried out the responsibility of revamping the party organization in different states. 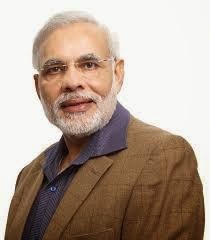 · In 1998 Narendra Modi was promoted as General Secretary and held the position till October 2001. · Narendra Modi became the Chief Minister of the state of Gujarat for the first time in October 2001 after his predecessor Keshubhai Patel resigned from the post following the defeat of Bharatiya Janata Party in the by-elections. The development of Gujarat under Modi's governance has become debatable. Modi government has branded Gujarat as a 'Vibrant Gujarat' and regarded it as a state that is rapidly increasing in terms of development and economic growth. However the opinion of the critics is different. They talk about poverty, malnutrition and lack of proper education in the state. As per the statistics, the State ranks 13th in terms of property and 21st in education. On the other hand, the state officials claim that the State outperformed other states in terms of female education. Also the school drop-out rates and the maternal mortality rates have also declined. Gujarat is also one of the states that does not suffer from the problem of land mafia. Contrary to the claims made by the state officials, Christophe Jaffrelot, a political scientist says that the development in the state was limited only to the urban middle class. The rural class and the people belonging to the lower castes were neglected by the government. According to Jaffrelot, under Modi's governance there has been an increase in the number of people living below poverty line. At the same time the adivasi and dalit communities have been treated as subalterns. Other critics including Amartya Sen, Arvind Panagariya and Jagdish Bhagwati are also share the same views. · On 7 October 2001, he was appointed the Chief Minister of the state of Gujarat. · He was given the responsibility of preparing the party for December 2002 elections. · As Chief Minister, Modi emphasised on privatisation and small government. which was critisised by Aditi Phadnis as "anti-privatisation, anti-globalisation position" of the Rashtriya Swayamsevak Sangh. · 2002 Gujarat violence: 27 February saw a massive violence, resulting in killing of 50 people when a train filled with hundreds of passengers, mostly Hindu pilgrims, was burned near Godhra. This incident resulted in an anti-muslin violence, which spread like wildfire throughout Gujarat. Estimated death toll ranged from 900 to 2000. The Gujarat government led by Narendra Modi imposed "shoot at sight" orders and curfews in several cities of Gujarat to prevent escalation of violence. Human rights organizations, media and opposition parties accused the government of taking inappropriate and insufficient steps to curb the violence. A Special Investigation Team (SIT) was appointed by the Supreme Court in April 2009 to inquire into the role played by the government and Modi. The SIT on December 2010 submitted a report to the court, stating that they did not find any evidence against Modi. However, the SIT was alleged of suppressing evidence in July 2013. · The consequence of the issue saw pressure on the Bharatiya Janata Party and Modi from different opposition parties and allies for resignation of Modi from the CM’s post. Subsequent elections resulted in Bharatiya Janata Party winning by large majority getting 127 seats out of 182.